So much music. We really do need you to send us your memories and memorabilia to make this page glow. Saw Yngwie J Malmsteen there on his Eclipse Tour in 1990?? Talked some of my friends from work to come along who hadn’t experienced a rock concert before. Yngwie was so loud I was deaf afterwards for a few days but my friends were deaf for two weeks to a month and didn’t speak to me for a while. One friend was a student from Tanzania who had never experienced anything like it before….what a culture shock for him!! 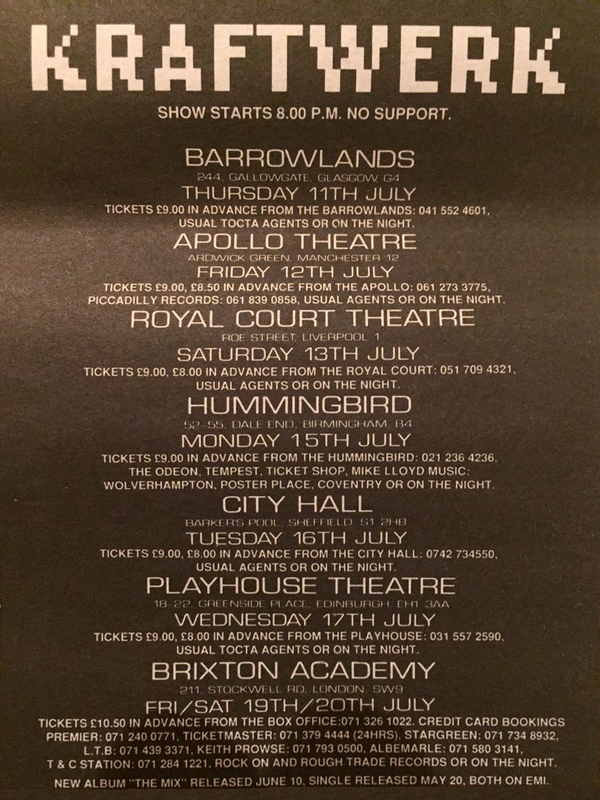 I saw The Prefects there 25th March, 1978 (Slits, Buzzcocks too). 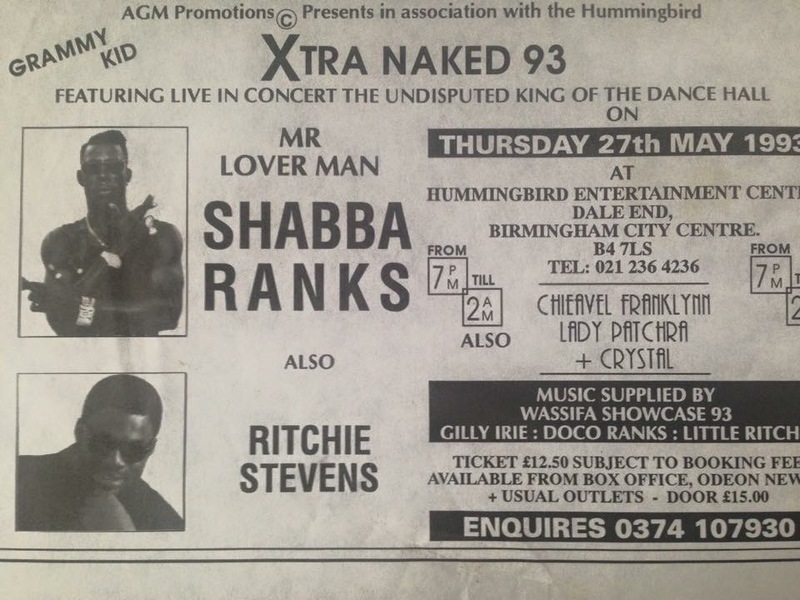 At that time it was called THE TOP RANK SUITE, Dale End, Birmingham..It was kind of a hole in the wall which lead to a big space. 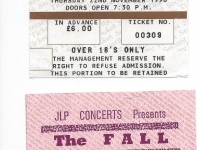 Latter I saw The Sugarcubes and latter still, The Fall there. Not the best place, too big really, but glad I saw The Prefects. I see the ramones there about 1989 i think. they were brilliant, glad i got the chance to see them. 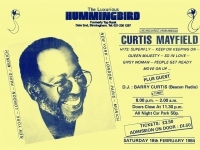 Remember seeing The Blues Band there in the late 70s / early 80s after walking back from Aston University Printing College. Also in the 90s saw Joe Satriani there and a few times there was a rock disco there on a Friday night. 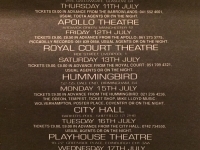 For the archivists, I’m looking at a poster at the moment for the Slade Alive tour in 1972. It says Slade played there on May 15th when it was known as The Top Rank. Anybody with memories of that night, please post, I’d love to hear them. I remember the Pretenders/UB40 gig shortly after they changed the name. For some reason, they’d decided it should be a members club and anyone not a member needed to have a member sign them in. It took about an hour to process the crowd into the venue. I think I caught UB40’s last number. I think they were due to have The Clash on around that time. Another vaguely memorable gig was Martha and the Muffins. They were still pushing their first album and ran out of material before the encore so they had to play the single again. 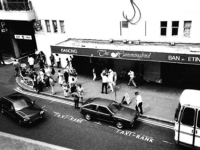 Saw loads of memorable gigs at this venue in the 1980’s. 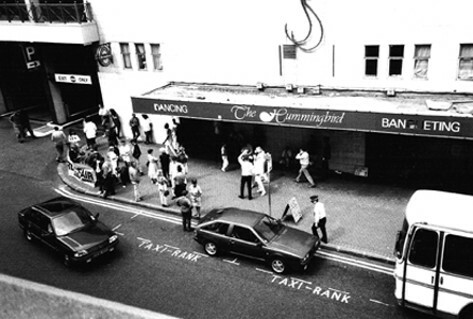 REM played a superb gig there in (I think 1986) . But also saw Wall of Voodoo, Stars of heaven, Sisters of mercy with Hussey etc and later with the gorgeous Patricia M. these were the ones that stand out. 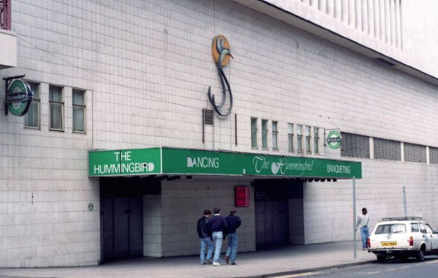 Think i saw Husker Du there too around 1986/7. Also the fall. ups sorry can you delete the above. have mixed up the Powerhouse and the Hummingbird. The above comments relate to the Powerhouse not the academy. But re the academy did see some fantastic bands from the 1980’s onwards eg Thin White Rope, The Sugarcubes, The fall, The church, to name just ahandful. Will re post on the power house site. Slayer Helloween Ramones Discharge Nirvana Mega City 4 Dinosaur JR GBH New Model Army Onslaught Too many remember and always a good sat night indie club that name escapes! Was called Menagerie on Sat nights with Jon playing Wobbles theme tune as last song. Best night around, brought people from miles away, what went on in there & the car park next door made the Swinging Sixties look tame! Ha! Remember “wombles” always a good night ! 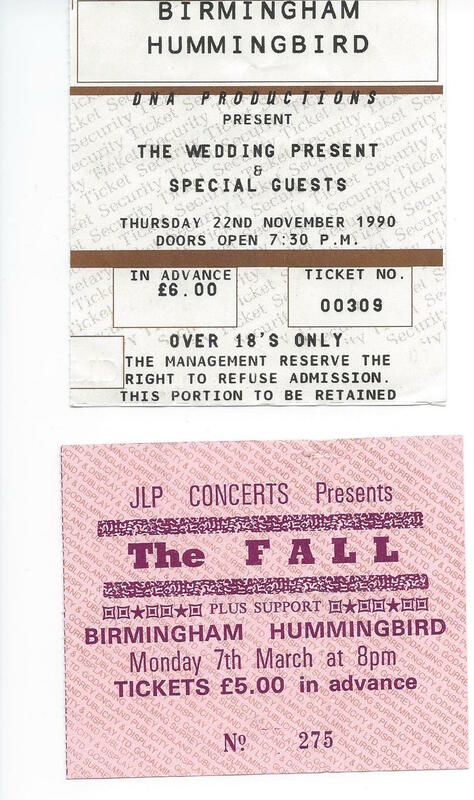 I saw Carter USM there,think it was 1992,great night,Frank and Walters and PWEI supporting. So The Hummingbird is back….kind of. A club night is now on called Menagerie Rewind where myself and John (original Menagerie DJ) are DJing. First one is 3rd Feb at Boxxed, Digbeth. Follow the Menagerie Rewind Facebook page for future events.